Practice Fusion Acquired - What’s in Store for Practice Fusion Users? Allscripts’ acquisition of Practice Fusion in the early part of 2018 for $100 million came as a big disappointment to many, including investors, employees and the entire Electronic Health Records (EHR) market. After all, this sale comes just two years after the company was determined to have a market valuation of around $1.5 billion and was expected to seek an IPO in 2017. 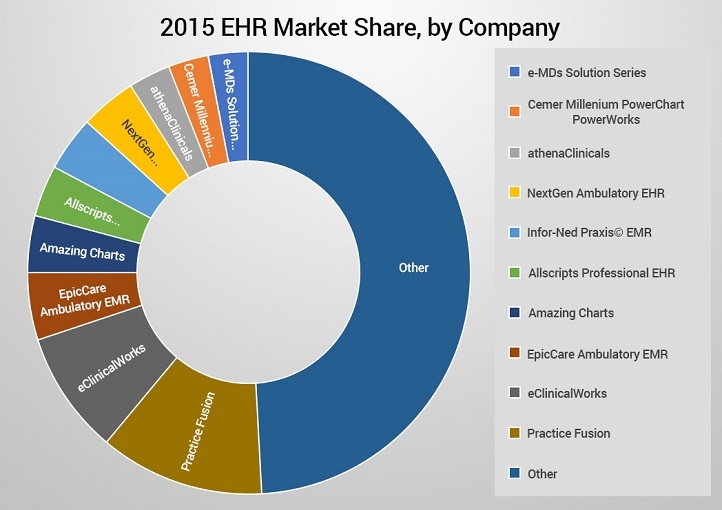 It was one of the major players in the EHR market, while Allscripts played a relatively minor role. To understand why such a significant player in the industry was sold for a fraction of its price requires an analysis of its customer base, its product, its business model and the industry landscape. ACA mandated that physicians use an EHR system by a deadline. That mandate led to companies launching EHR products without considering usability, adaptability, and customer fit. Practice Fusion was one of them. The major issue became the disconnect between the physician work patterns (that had been developed over years of practice) and the cookie-cutter EHR systems. Consequently, it required a monumental amount of work for practitioners, in order to get all of the necessary info into the format required by such inflexible EHR systems. As a result, bigger practices moved to paid EHR systems that they could customize by investing large amounts, while cost considerations drove the small and single provider practices, that were trying to meet the mandate without the financial resources to do so, towards Practice Fusion. In other words, Practice Fusion accumulated the non-premium segment of the market. Over time, EHR users became more sophisticated and demanded more features, which effectively converted the EHR to an ERP (Enterprise Resource Planning) system. While other applications evolved, Practice Fusion remained as a product that only offered the EHR portion. They initially partnered with Kareo, which offered the medical billing software. This partnership dissolved when Kareo added their own EHR functions and became a competitor to Practice Fusion. Other products, like blueEHR, offer radiology, inventory, medical billing and more, that cover the entire operational aspects of a practice. In a nutshell, Practice Fusion failed to evolve as their users’ needs changed. Practice Fusion employed a “Free” business model. There are two versions of a “Free” business model: Free and Freemium. The Free business model operates similarly to Facebook in that the revenue is generated from advertisers and their commodity consists of their user base. The Freemium model consists of a product that is offered for free, with the option to acquire a more comprehensive version with payment. Practice Fusion had a blend of the two; they generated revenue through advertising and they offered a free model, with the option to upgrade for a fee. It would seem like having two potential revenue models would increase the likelihood of financial success, but it didn’t quite work that way for Practice Fusion. Their free version could not generate enough revenue through advertising and their premium model (for fee) didn’t offer an enticing, or necessary, advantage over the free model. The premium service was essentially an ad-free version of the software, and that was not enough enticement for the specific demographics that made up their user base – small and single provider practices. Practice Fusion rode on the surge in demand created by the ACA (Affordable Care Act) mandate. The mandate required certifications that adhered to the requirements set by the government – Meaningful user certification. Recent revelations of eclinicalworks being fined $155 million by the DOJ and a class action law suit against the same company caused significant anxiety among potential buyers. Practice Fusion too had received a similar inquiry from the DOJ. In short, the regulatory environment helped make and break the company. With these bleak prospects for Practice Fusion, why would Allscripts even bother with acquiring them, after all, their user base offers no profit potential. The answer lies in the data…which could be upwards of 5 million patient visits a month. While the sale of Practice Fusion was remarkable, one of the often-overlooked aspects has been the potential impact this acquisition could have on users. So, while the benefit to Allscripts is clear, what about the existing users? Their quality of service and payment model are currently up in the air, which should make many of them nervous. One could very well expect a transition to a paid mode. If you would like to move from Practice Fusion, click here. Want to move from Practice Fusion? Allscripts’ acquisition of Practice Fusion in the early part of 2018 for $100 million came as a big disappointment to investors, and its users. Copyright 2019 © All rights reserved ZH Healthcare, Inc.